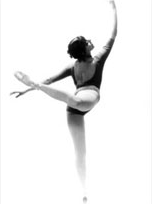 Martha Tornay graduated from Interlochen Arts Academy with a Fine Arts Award in choreography and dance technique. She received extensive classical ballet education with masters such as Mme. Gabriela Darvash, Gretchen Ward Warren and Robert Brassel. After performing with regional and international ballet and modern dance companies, she founded East Village Dance Project (EVDP) in NYC. EVDP’s primary mission is to bring quality dance education to all regardless of socioeconomic status. Now in it’s 21st year, many EVDP alumni are performing and creating their own work in companies such as Pacific Northwest Ballet, American Ballet Theater, New York City Ballet and many more. In the fall of 2017 Martha was thrilled to announce a partnership between EVDP and Abrons Arts Center! Martha conceived and directed the off-Broadway production of THE SHELL-SHOCKED NUT in partnership with La MaMa Theater and GOH Productions. Martha has been teaching at NYU’s Experimental Wing for 15 years.